Laser skin resurfacing in Singapore is a popular cosmetic procedure that can help rejuvenate the skin and reduce the effects of the sun, aging, and some facial skin disorders. Treatments are safe, effective, and convenient. Also, the cost of cosmetic laser skin resurfacingin Singapore is minimal compared to many other treatment options. Learn more about how laser skin rejuvenation, or laser peel as it is often called, removes damaged outer layers of skin and stimulates the production of collagen and new skin cells in the underlying layers, bringing about smoother, younger, healthier-looking skin. Doctor Donald ng of Aesthetics has put together from sources around the web this guide to Cosmetic laser skin resurfacing is a method for diminishing the appearance of imperfections on the skin’s surface. 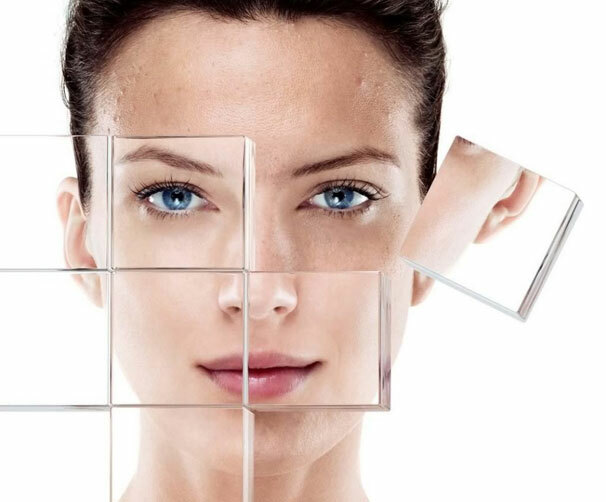 During the laser skin resurfacing procedure a laser is used to dissolve the molecular bonds of the damaged skin cells layer by layer until a smoother, more uniform skin appearance is achieved. The procedure may also be referred to as laser skin rejuvenation because of its anti-aging benefits, or laser peel because the damaged layers of skin are peeled away. For some patients, the laser skin resurfacing procedure does an excellent job of diminishing the appearance of lines and wrinkles, scars, and irregular skin pigmentation. However, patients with certain skin types, skin tones, and medical conditions may suffer an increased risk of developing unpleasant side effects. Laser skin resurfacing may, in fact, worsen such a patient’s facial appearance. Consult a dermatologist to discover if you are a good candidate for the treatment. Laser skin resurfacing is an effective procedure for patients with lines, wrinkles, uneven pigmentation, or superficial facial scars such as acne scarring that does not respond to gentler treatments. The ideal candidate for laser skin resurfacing has elastic, non-oily skin that is not prone to scarring after minor injury. It is best that laser skin resurfacing be performed on a person who is free of any medical considerations, including prescription medication and existing health conditions that might cause unnecessary risk during the procedure or recovery period. A good candidate would be a person who has realistic expectations for the results of the laser skin resurfacing procedure. A person seeking laser skin resurfacing should educate themselves on both the benefits and the limitations of the procedure beforehand. Persons with lighter skin tones are better candidates for this particular procedure than persons with darker skin tones because there is less risk of unexpected side effects such as permanent skin discoloration. Because of the invasive nature of the procedure, particularly when performed using a CO2 laser, many physicians consider laser skin resurfacing to be a surgical procedure despite the fact that it involves no incisions. The healing process after any surgery can be quite taxing for a patient. Therefore, a laser skin resurfacing recovery will be very hard on a patient that suffers from a disorder of the immune system. Patients who scar easily should also not attempt the procedure for largely cosmetic reasons. Connective tissue disorders, such as lupus erythematosus or Sjogren’s syndrome also present an increased risk of complications and are a valid reason for foregoing the treatment. Although the laser skin resurfacing procedure can be used to treat acne scarring, the active presence of acne can increase the risk for infection. Those who experience regular outbreaks should consult a dermatologist before undergoing the procedure. The presence of other skin infections such as cold sores and herpes simplex also increase the risk of complications during the healing process. 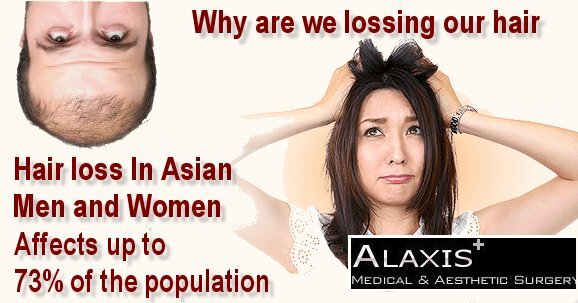 Studies have linked the prescription acne treatment, Accutane®, to a decreased healing capacity in the skin. If you have used Accutane® in the last 18 months, many physicians ask that you refrain from undergoing a laser skin resurfacing procedure. Erbium lasers are able to remove thinner layers of skin than the more powerful, but less precise CO2 laser. Erbium lasers are often a better choice for patients with dark skin because there is less risk of permanent changes to skin pigmentation. With a shorter healing, they are also better for patients with generally healthy skin who wish to treat only minimal fine lines and wrinkles. The Fraxel® laser skin resurfacing treatment is distinct from other laser rejuvenation treatments that use either the erbium or the CO2 laser. Because the Fraxel® laser procedure is non-invasive, there are few post-treatment side effects. There is virtually no skin tenderness or pain after undergoing treatment and no downtime is required after the procedure. It should be noted, however, that this is not a single session treatment. Improvements to the skin’s appearance will appear gradually over the course of weeks or months. A laser skin resurfacing procedure can be performed either in a hospital or, more likely, in an outpatient surgical facility. The procedure is typically performed with local anesthesia (a numbing injection at the treatment site). An oral sedative may or may not be used as well. More extensive laser skin resurfacing procedures can require intravenous or general anesthesia, although this is less common. A knowledgeable cosmetic surgeon can determine with great accuracy how each laser skin resurfacing patient can best benefit from treatment and the necessary anesthesia needed to provide them adequate comfort. Once the necessary anesthesia has been administered, the surgeon uses a special laser to perform the skin resurfacing procedure. Using a precise and controlled beam of laser light, the outer layers of skin are vaporized, revealing the smoother, younger-looking skin beneath. While the old layers of skin are removed, the growth of new skin cells is stimulated. A partial laser skin resurfacing procedure typically takes 30 to 45 minutes and a full treatment can take up to two hours. Both of these lasers help to minimize the potential for laser skin resurfacing complications by limiting the amount of heat damage to the skin and offering the cosmetic surgeon an extremely high level of precision. Your physician will help you prepare for a beneficial laser skin resurfacing recovery. Undergoing a laser skin resurfacing procedure can greatly benefit the youthfulness and beauty of your skin. A laser peel can be performed to diminish the appearance of fine lines and wrinkles, acne scarring, age spots, birthmarks, and blotchy patches on the skin. It can also improve the skin’s overall texture which can become rough and coarse as a result of accumulated sun damage. Deep laser skin rejuvenations can stimulate the production of new collagen in the lower dermis. A laser skin resurfacing procedure can also be employed for removing skin growths such as moles and warts, and even as a treatment for skin cancer in its earliest stages. 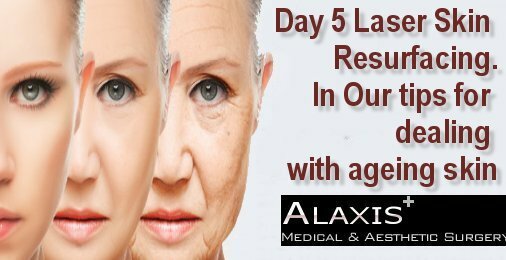 Additionally, laser skin resurfacing is currently one of the most effective means of revising mild to moderate facial scarring resulting from either previous surgery or injury. Laser skin resurfacing procedures are generally safe when performed by a board-certified dermatologist or cosmetic surgeon. 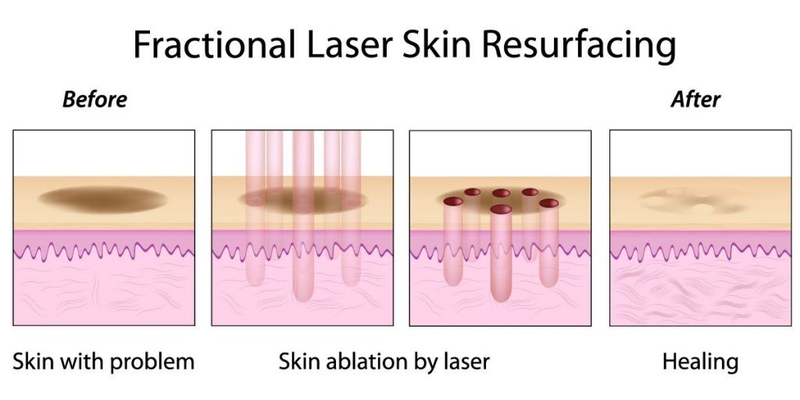 A patient should, however, keep in mind that laser skin resurfacing complications such as infection or abnormal healing, though infrequent, do occur. Patients who are prone to scarring after a minor injury should not undergo laser skin resurfacing because of the risk of cosmetic damage. Cold sores, acne, and other skin disorders may increase the risk of laser skin resurfacing complications and this should be discussed with your dermatologist. Hyperpigmentation or permanent darkening of the skin is a prominent risk for darker skinned individuals seeking to undergo the procedure. An erbium laser or Fraxel® laser presents a slightly lower risk of permanent skin discoloration than does the use of a CO2 laser to perform the laser peel treatment. Your doctor may advise the use of an over-the-counter bleaching agent prior to undergoing laser skin resurfacing to further decrease the likelihood that this will occur. Hypopigmentation or permanent lightening of skin is also a possibility, but this is less common. You should discuss your medical history at length with your dermatologist before undergoing laser skin rejuvenation. Drug allergies, medical conditions, especially connective tissue and immune disorders, previous surgeries, medications you’re currently taking, and any prior skin treatments, particularly Accutane® and chemical peels are potential sources of laser skin resurfacing complications. Smoking decreases the ability of the skin to heal, so smokers will have to quit for a period of two weeks before and two weeks after laser skin resurfacing. Your dermatologist will give you pre- and post-treatment guidelines to minimize the risk of complications and unwanted laser skin resurfacing side effects. There are a variety of factors that go into determining the exact cost of cosmetic laser skin resurfacing treatment. There is the surgeon’s fee, the cost of the facility and anesthesia, and also the expenses incurred from the pre- and post-operative care. Scheduling a complete patient consultation with a laser surgeon or cosmetic dermatologist is the best way to achieve the most accurate cost estimates for your specific procedure. Complete the form for a quick consultation and a guide to the cost.